So this makes two down...three to go. 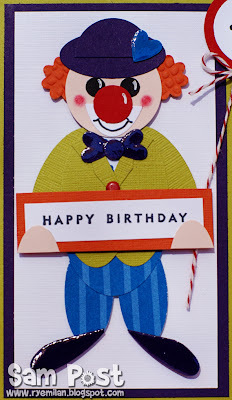 I am confident that if I keep trawling through my CASE folder I will come up with enough groovy ideas to get this glut of birthday cards all sorted in the next week (fingers crossed ;-). This little number is a CASE of a simply gorgeous idea by the fabulous Jackie Topa. Check out her oh-so-cute clown valentines day card here...and more of her amazing punch art ideas here. Thanks Jackie! Cardstock: Pacific Point, Tangerine Tango (Plain and Textured), Kiwi Kiss (Plain and Textured), Elegant Eggplant, Real Red, Whisper White (Plain and Textured), Basic Black and Blush Blossom. Punches: Extra Large Oval, Large Oval, Small Oval, Boho Blossoms, Heart to Heart, 1 inch Circle, 1/2 inch Circle, 1/4 inch Circle, 1 1/4 inch Square and 1 1/4 inch Circle. Accessories: Pacific Point Patterns DSP (SU - Retired), Real Red Stampin' Chalk, Seeing Spots Cuttlebug Emboss Folder (Bizzy Becs), Tiny Bubbles Cuttlebug Emboss Folder (Bizzy Becs), Crystal Effects (SU), Real Red Brad, Pure Poppy Bakers Twine (PTI), Black Lettering (CM), White Gel Pen, Dimensionals (SU) and SNAIL adhesive (SU). Hopefully you can see the crystal effects highlights that I have added to his ensemble. It is on the heart in his hat, his bow tie and his big boofy shoes. I am so chuffed with how this little dude turned out. I think it is appropriately bright and fun for a four year old boy's birthday. What do you think? I have added crystal effects to her Real Red lips, and her Basic Black shoes. I have also touched up her cheeks with some Real Red Stampin' Pastels. I think she looks a little less pasty now :-). PS. 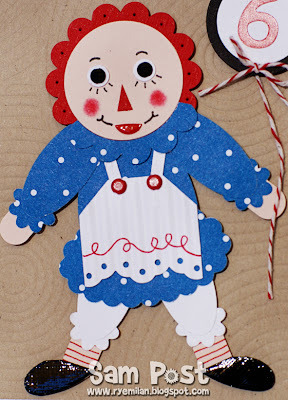 Thanks so much for all of your lovely comments on the Raggedy Ann post. You guys are awesome! Off to hang some washing now. Have a good one! 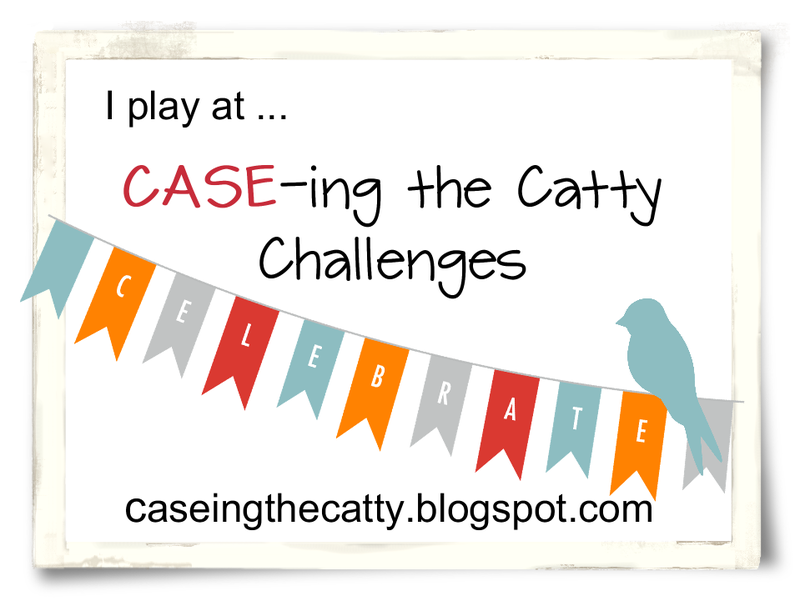 (Blogged to: Dressed for Success - Roxette and Celebration - Kool and The Gang). ROFLOL!!! Sam this is the cutest darn clever I've ever seen! You've done and AWESOME job! Are you feelin' better yet? 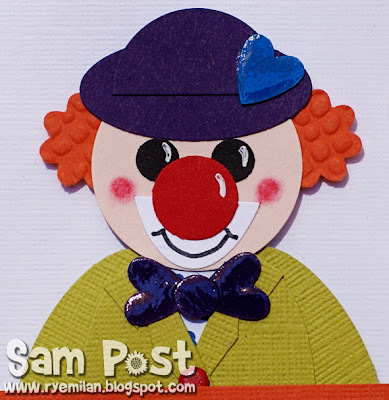 Oh this clown is far too cute, and love it on the card, great job! Holy moly! What a card!! I am hereby dubbing you the PUNCH ART QUEEN! 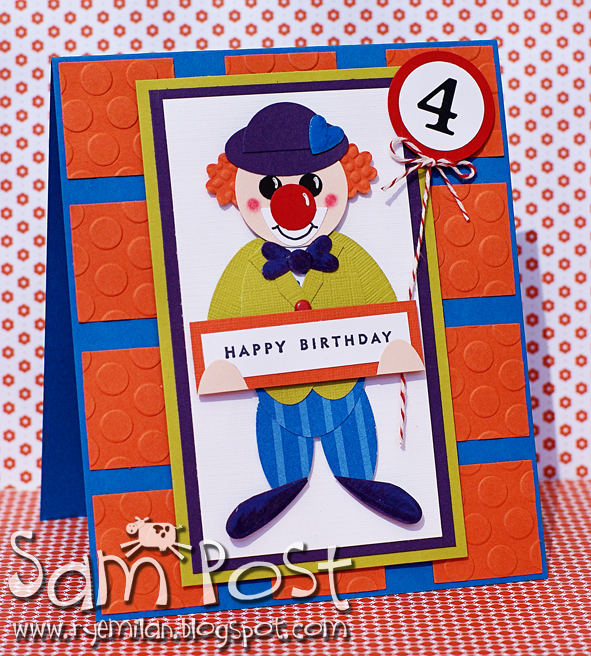 This clown card is a knock-out! Even though I have Coulrophobia (fear of clowns), I can look at your card without flinching - he looks just so friendly and so darn cute!! LOVE this clown!! Too clever! I made a soft doll clown for my son and he hated it - it scared him - LOL. But this guy is soo much fun! 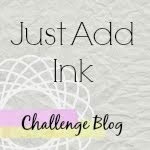 You are seriously my most favorite paper punch artist! 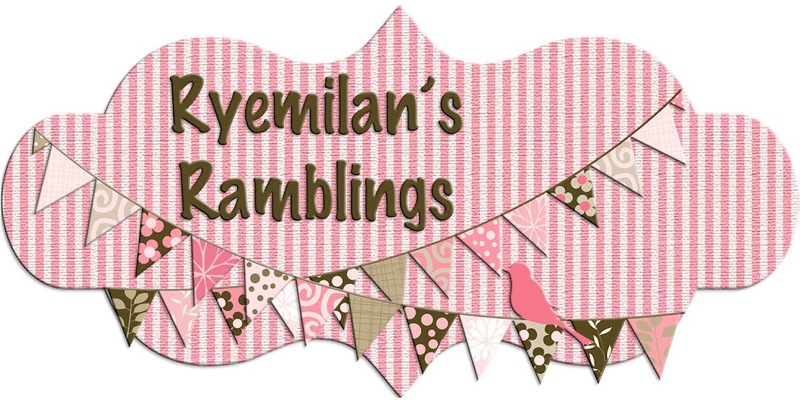 Love everything I'm seeing tonight on your blog. So, so fabulous. I don't know how you come up with these super ideas. I thought I had already left a comment on this one but I obviously I didn't. Losing my mind, lol!